1) (Saunders’ Hill, co. Cornwall, and co. Hertford). Sa. three swords paleways, points in chief, hilts and pommels or. Crest—An arm embowed in armour ppr. the elbow resting on the wreath, holding in the gauntlet a falchion ar. hilt or. Motto—Cognosce teipsum et disce pati. 2) (Padstow, co. Cornwall; William Rawlings, Esq., of Padstow, co. Cornwall, was son of Thomas Rawlings, Esq., of Saunders’ Hill, by his wife Margery, dau. and co-heir of Thomas Price, Esq., of Tregolds). Sa. three swords paleways, points in chief ar. hilts and pommels or. Crest—An arm embowed in armour ppr. the elbow resting on the wreath, holding in the gauntlet a falchion ar. hilt or. Motto—Cognosce teipsum et disce pati. 3) Per pale ar. and sa. on a chev. betw. three martlets as many crescents all counterchanged. Crest—A ram pass. sa. attired or. 4) (Wakering, co. Essex; granted 2 Jan. 1560). Ar. a fess sa. fretty or, in chief three pellets. Crest—A bear’s head couped or. 5) or Rawlyns – (Kilreige, co. Hereford, and Middle Temple, London, 1610). Sa. three swords barways, their points toward the sinister point of the escutcheon ar. hilts and pommels or. Crest—A bull’s leg couped near the body sa. covered to the fetlock ar. on the top a bird’s head gu. 6) Sa. three swords barways ar. hilts and pommels or. Crest—An arm embowed in armour ppr. holding in the gauntlet a falchion ar. hilt or. Motto—Nec vi standum nec metu. 7) (Ireland. See Rawlyn). Sa. three swords ar. one in pale and two in saltire, hilted and pommelled or, in base a crescent of the last. Crest—A lion’s head erased gu. 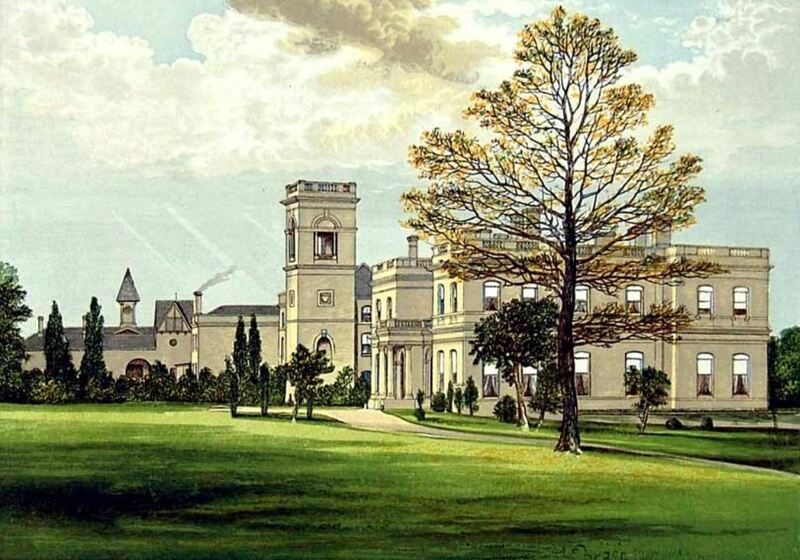 8) (formerly of Houghton and Hook, afterwards of Beaucroft, Wimborne, co. Dorset, and Bournemouth, co. Hants). Sa. three swords in pale, points in chief ar. hilts and pommels or. Crest—An arm embowed in armour ppr. holding in the gauntlet a falchion ar. hilt or. Motto—Cognosce teipsum, et disce pati. 9) (Dublin; Fun. Ent. Ulster’s Office, 1658, Giles Rawlyn, buried in St. Werburgh’s Church). Az. three swords in pale ar. points to the sinister, pommels and hilts or. Crest (Reg. Ulster’s Office)—Two swords in saltire, points upwards ar. pommels and hilts or, through a wreath of oak leaves vert. 10) Sa. three swords paleways ar. two erect, points upwards, betw. them one downwards. 11) or Rawlin – Sa. three swords paleways ar. two with their points in base, and the middle one in chief. 12) (co. Essex). Ar. a fess sa. fretty of the first, in chief three pellets. 13) (co. Lancaster; granted in 1662 to Robert Rawlinson, of Cark, in Carknell, co. Lancaster, J.P., and Vice-Chamberlain of the co. Palatine of Chester). Gu. two bars gemelles betw. three escallops ar. Crest—A sheldrake ppr. in the beak an escallop ar. Motto—Dieu et mon Roi. 14) (Graythwaite, Greenhead, &c., co. Lancaster). Sa. three swords paleways, the centre one point downwards, the others points upwards ppr. hilted or, a chief indented of the last. Crest—An armed arm couped at the elbow erect ppr. grasping a sword as in the arms. 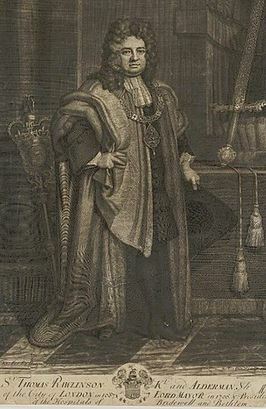 15) (Lord Mayor of London, 1706). Gu. two bars gemelles betw. three escallops ar. This last name has two origin theories. First, it is a baptismal surname meaning “the son of Ralph”, the diminutive for the personal (first) name Rawlin and Rollin, through the French Raoul-in, the shortened version of the given name Raoul, although another source belives Raoul is from the French Rodolphe. Secondly, it is a baptismal surname meaning “the son of Rowland or Rolland”. In Furness and county Cumbira, there is a family of Rawlinsons who descend from a Rowland through Rawlandson. The name Ralph is a male personal name that is an Old Norse name deriving from the Germanic words rad (counsel/advice) and wolf (wolf). It was first introduced into England by Scandinavian settlers in the Old Norse form Rathulfr. The personal name Raulyn was recorded in 1277 AD in Yorkshire, and later a William Raulyn was listed in Oxfordshire in 1290 AD. The Germanic spelling was Radulf. The name Rolland is an ancient one, and there was a Frankish military under Charlemagne named Roland (died 778 AD). The name took root in Scotland in the 1500s AD, particularly in Dumfriesshire, where a one David Rawlynge was recorded in 1588. The name also was established in Cornwall, England, where the family held positions. Common spelling variants or names with similar etymologies include Rawlin, Rawling, Rawlings, Rawlins, Rawlinson, Rawlynson, Raulyn, Rawlyngson, Rawline, Rollins, Rawlington, Rawlence, Rollings, and Rowling. The Dutch equivalent is Roelants, Rolling, Rohling, and Roland. The Danish version is Rolund. The Flemish version is Roulandt. The last name ranks Rawlings ranks 3,451st in popularity in terms in the United Status as of the 2000 Census. The name ranks particularly high in the following four states: Maryland, Utah, Kentucky, and Idaho. The surname is also common in England, where it ranks 990th. It ranks highest in the following counties: Wiltshire, Rutland, and Somerset. The name is common throughout the English speaking world: Scotland (), Wales (653rd), Ireland (8,504th), Canada (4,555th), New Zealand (2,004th), Australia (1,501th), and South Africa (7,660th). The last name ranks Rawlins ranks 5,201st in popularity in terms in the United Status as of the 2000 Census. The name ranks particularly high in the following four states: Utah, Hawaii, Ohio, and Kentucky. The surname is also common in England, where it ranks 2,698th. It ranks highest in the following counties: Bedfordshire, Oxfordshire, Wiltshire, Buckinghamshire, and Warwickshire. The name is common throughout the English speaking world: Scotland (9,780th), Wales (2,488th), Ireland (9,692th), Canada (8,607th), New Zealand (8,328th), Australia (3,746th), and South Africa (3,424th). In the United States, Rawlinson ranks 12,510th, Rawling ranks 48,177th, and Rawlin ranks 136,528th. The 1890 book Homes of Family Names by H.B. Guppy states the following in regard to this surname: “The name of Rawlings occurred in Wilton and “Warminster during the reigns of Henry VIII, Mary, and Elizabeth. At present the neighbourhood of Calne is the home of the name, but as Rawlence it still occurs in Wilton”. A one John Rawlynes was documented in the Ancient Deeds of Warwickshire in 1343 AD. Robert Rawlyngso was listed in the Calendar to Pleadings. 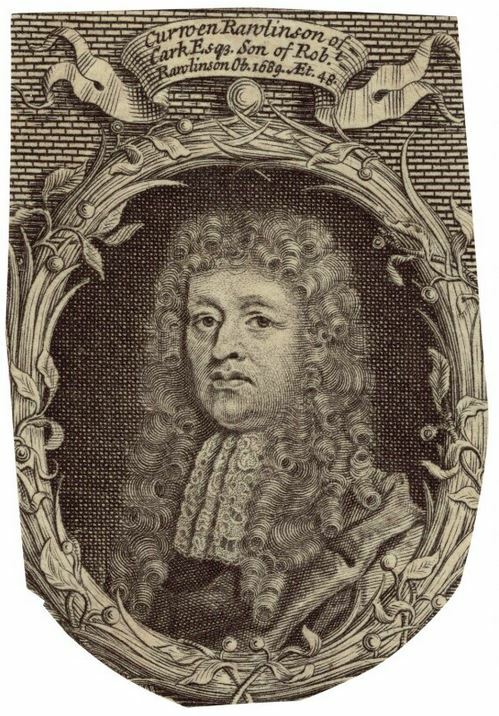 John Rawlynson was documented in the Valor Ecclesiasticus. The Poll Tax of Yorkshire in 1379 AD lists one bearer of this last name: Anabella Raulyn. The famous genealogist Bernard Burke’s book “The Landed Gentry” discusses once branch of this family: Rawlinson of Duddon. They bore the following Rawlinson Family Crest or Coat of arms with the following blazon in heraldry: Sable, three swords in pale, the centre one point downwards, the others points upwards, blades argent, hills and pommels or; a chief indented of the last. 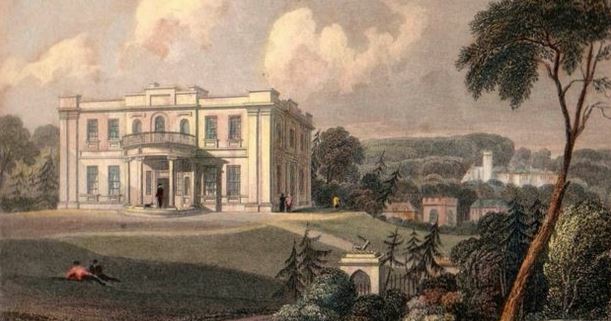 The family was seated at Duddon Hall, Broughton-in-Furness, Cumberland. 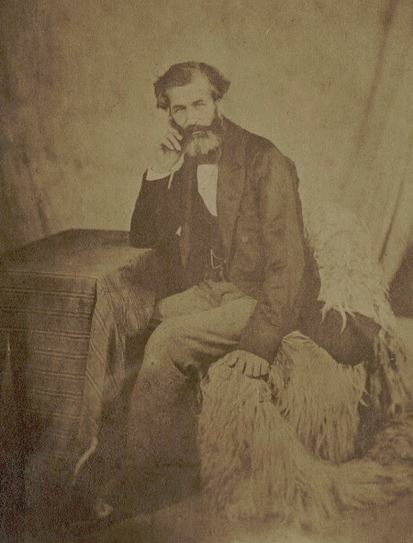 It begins with a mention of William Millers Rawlinson, Esquire of Duddon Hall in Cumberland, who succeeded his father in 1875. Burke traces the genealogy, lineage, or pedigree of this family back to William Rawlinson, son of John, in Colton in county Lancaster during the reign of King Henry VII of England (1485-1509). He married a daughter of the Benson family of Skelwith and had two sons: John and William. His son William Rawlinson was an Esquire of Toddilbank, who married a daughter of Miles Sawrrey and had a son with her named Thomas. A one John Rowling was born in Suffolk, England in 1425 AD. He had a son named William who was born in 1450 who married a woman named Margaret Truscott and had issue with her, including a son named John. This John Raylyns was born in 1482 AD and he married Joan (last name not known). Together they had a son named Walter Raylyns. Walter was born in 1520 and he married Edythe Sowthehaye. He had a son named Willimus Raylyns born in 1538 in Colyton. He married Margerie Hine and had a son with her named William James Rawlins. William James was born in 1555 and he married Sarah Mufet. They had a son named James who was born in 1585 in Cornwall England (he bore a coat of amrs with three swords). He married Sarah Beach and had a son with her named James. James Rawlins was born in 1612 in Cornwall. 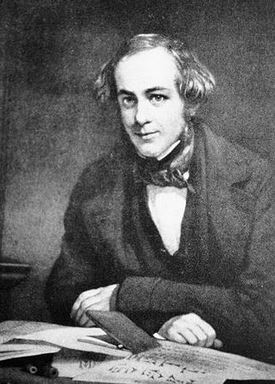 He married Hannah Fry and had numerous children with her: Ichacbod, Thomas, Rebecca (Stokes), Sarah (Chesley), Joseph, Samuel, Benjamin, James, Deborah, and others. James Rawlins was born in 1586 in Cornwall, England. He married Sarah Beach and had two issue with her: James and Hannah. His son James was born in 1612 in the same town. He married a woman named Hannah and had numerous issue with her: Ichabod, Thomas, Joseph, Samuel, James, Deborah, Rebecca, and Sarah He died in 1687 in Dover, New Hampshire. His son Thomas Rawlins, later spelled Rollins, was born in Bloody Point, Strafford, New Hampshire in 1641. He married Rachel Cox and had numerous children with her: Thomas, Moses, Joseph, Mary (Page), Benjamin, Aaron, John, Rachel, Samuel, and Alice (Shaw). His son, Lieutenant Thomas Rawlin(g)s was born in 1671 in Exeter, NH. He married twice, Phebe Lawrence and Sarah Philbrick, and had children with her: Dorcas (Bennet), Gliddne, Caleb, Catherine (Sanborn), Mary (Coffin), and Rachel. Caleb was born in Newmarket, NH and died in 1785. Roger Rawlins was born in Sandys, Bedfordshire, England in 1520. He married Joan Hunt and had a daughter with her named Agnes. Agnes was born in 1542 and she married John Sperry. A one John Rawlings was born at an unknown date in Westbury, Wiltshire England. He married Amelia Dewdney and had a son with her named Walter. Walter was born in 1520 in Colyton, Devon. He married Edythe Sowthehaye and had a son with her named Francis. Francis was born in 1557 in Warminister, England. He married Elizabeth Jerret and had a son with her named Edwin. Edwin was born in 1575 in England and he married Rebecca VanMeter. He had a daughter with her named Mary, born in 1600, who married Arthur Henry Jordon I. A one Henry Rawlings was born in England in 1589 AD. He married Christina Treskowick and had three issue with her: Anthony, Anthony, and Richard. He went to Maryland in the United States and died in 1652 there. His son Anthony was born in 1615 in Dorset and went to Maryland with his father. He married a woman named Jane and had a son with her named Anthony. This Anthony was born in 1643 in Anne Arundel, Maryland. He married Catherine Beckwith and had three children with her: Aaron, Aaron, and Margaret (Hales). His son Aaron Rawlings was born in 1667 in the same county. He married Mary Rumney and later Susanna Jones, and he left issue: Daniel Jr. and Stephen. 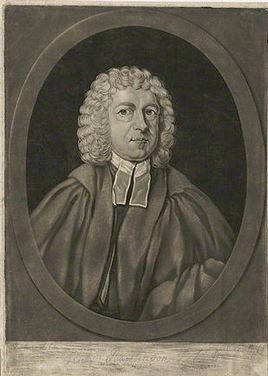 His son Stephen was born in 1713 in the same county in Maryland and married Elizabeth Tyler, with whom he had three children: Susannah (Snodgrass), Edward, and Pricilla. His son Edward was born in 1745 and married Rebecca Van Meter. Together they had two daughters: Elizabeth Cass and Rebecca. A one Gregory Rawlings is believed to have come to Jamestown, Virginia aboard the Increase in 1626. He settled in Surry County, and his wife might have been the daughter of John Osborne, a neighboring farmer. He had 476 acres of land. 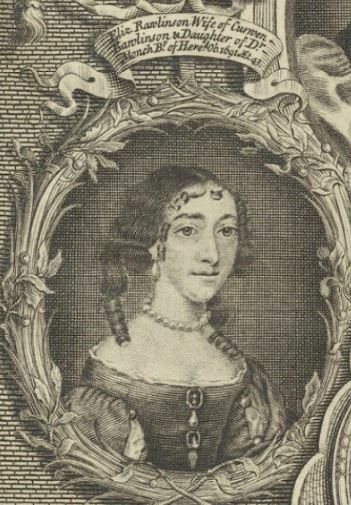 Jane Rawlin came to New England aboard the Increase in April 1635. 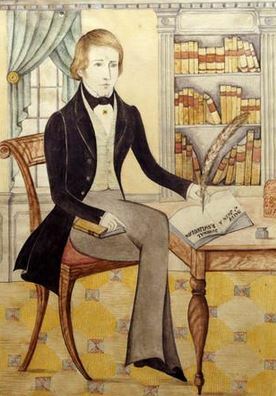 A one Joseph Rawlins went to St. Christopher’s aboard the Mathew. A one Henry Rawlins went to the Barbados in November of 1635 aboard the Expedition. A one John Rawlins (possibly Sir?) was listed on the Sommer Islands (in Bermuda) in 1673. A one John Rawlings and his wife (who had two servants and one slave) are listed in the Towne of St. Michael’s in the Barbados. James Rollins (or Rawlins) came to Ipswich, Massachusetts from Cornwall, England in 1632. He bore the following Rawlins Family Crest or Rollins Family Crest: Sable, three swords paleways points upward argent, hilts and pommels or. 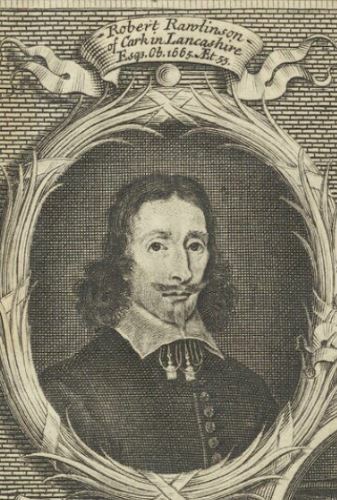 Other early settlers in colonial America include Christopher Rawlings (Virginia 1639), Rowland Rawlings (Maryland 1651), William and Rawlings (Maryland 1661). We have 15 coats of arms for the Rawlings, Rawlings, or Rawlinson surname depicted here. These 14blazons are from Bernard Burke’s book The General Armory of England, Ireland, and Scotland, which was published in 1848. The bottom of this page contains the blazons, and in many instances contains some historical, geographical, and genealogical about where coat of arms was found and who bore it. People with this last name that had armorial bearings include: 1) Rawlino to Maddison, George, of co. Durham and Northumberland (1811), 2) Rawlinson to Lancashire, of co. Lane, , 3) Rawlinson, Sir Henry Creswicke, Bart., of London, 1891, and 4) Rev. George, Canon of Canterbury. Famous people with this last name include: 1) John Aaror Rawlins (1831-1869) who was a General for the Union during the American Civil War and cabinet office in the Grant administration, 2) Joseph Lafayette Rawlins (1850-1926) who was a Senator from Utah, and 3) Richard Rawlings (1969) who is an American race car driver, media personality, and entrepreneur who is known for the television show Fast N’ Loud. It should be noted there is also an American musician, actor, and subculture personality known as Henry Rollins (1961), but his birth name is Henry Lawrence Garfield. The main symbol in the Rawlings Coat of Arms or Rawlins Coat of arms is the sword, the most common weapon in medieval Europe and throughout most of history. Given the martial nature of the origins of Heraldry, in the identification of knights and men-at-arms it can come as no surprise that mediaeval weaponry of all types are frequently to be found in a coat of arms. Indeed, the sheer variety of different swords can be bewildering and expaining the difference between a scimitar and a falchion is perhaps best left to the expert! If a charge is described just as a simple sword then it will have a straight blade and cross handle, that may be of a different colour, and, unless specified, points upwards. Wade, quoting the earlier writer Guillim, signifies the use of the sword as representing “Government and Justice”.